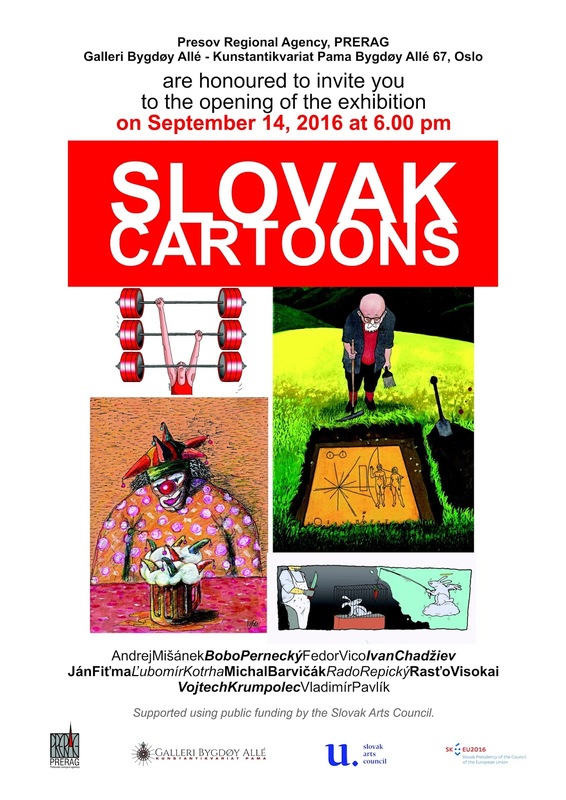 On the 13th and 14th September Slovak Cartoons will be Exhibit in Oslo, Norway. Exhibition opening at 14.00 on 13th September 2016. A festive event on the occasion of the Day of the Slovak Republic Constitution will take place and the exhibition will be part of this event. The event Supported using public funding by Slovak Arts Council. You are welcome to visit the exhibition.